Mobile WiMax continues to make rapid strides in the race to establish a long-range alternative to Wi-Fi, with the latest breakthrough being a demonstration of wireless high-def TV broadcasts. 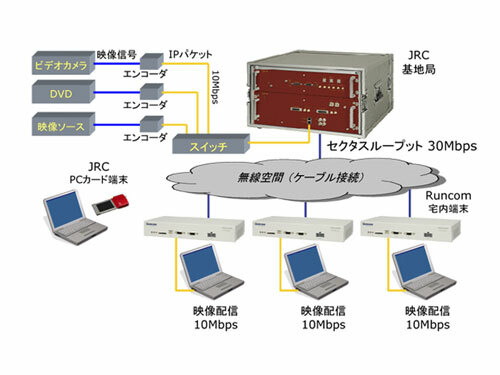 Using a tweaked IEEE802.16e setup, Japan Radio Company (JRC) and Runcom Technologies recently showed HD TV video being transmitted at 30Mbps, which was more than enough throughput for the HD vids. The two companies combined their wireless expertise to create a base station and user terminals using WiMax IEEE802.16e-2005 on the 2.5GHz portion of the spectrum. While any large-scale commercial deployment of WiMax specifically for video broadcasts remains uncertain, it’s clear that, whatever it is used to transmit, the standard has a bright future.